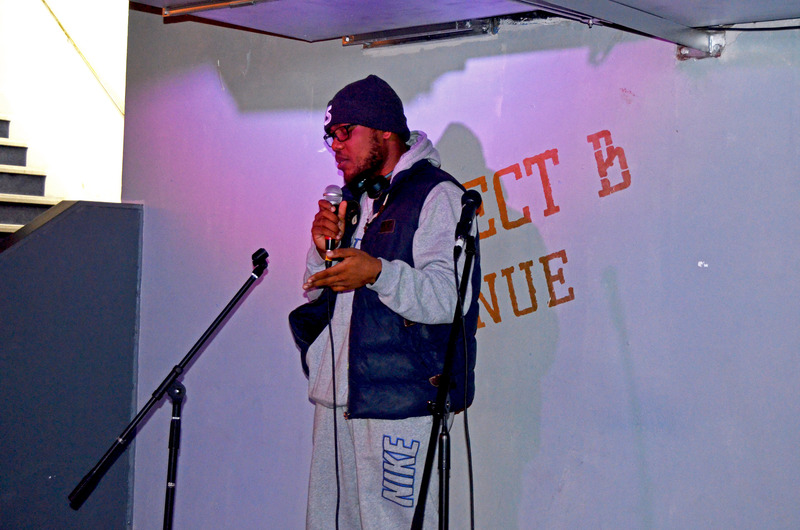 Relationships was the theme for Poetic Insight on November 28th, aptly following on from the topic of Online Dating at The Kickback a week before. However, I wanted to emphasise that relationships are more than just romance, which let to a great mixture of poems on different types of relationships. 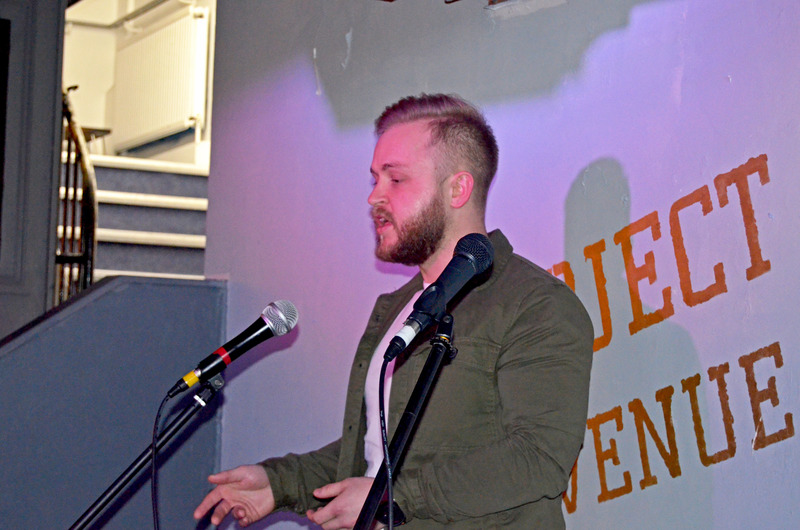 As you probably know by now, we love welcoming new performers to the Poetic Insight stage and this month was no different, with three individuals coming to the stage for the first time. Diego was the first person to take to the stage, sharing a really sweet poem based on that elusive phrase, “I miss you.” On the other hand, Kris closed out the show with a fire piece of spoken word about his relationship with London. 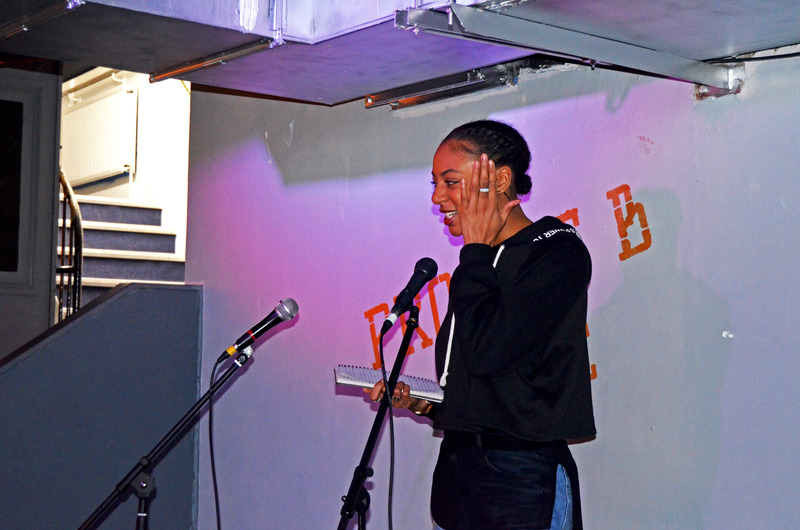 Newcomer, Chantelle, used poetical language to give us a very honest insight into a relationship she had with another poet. 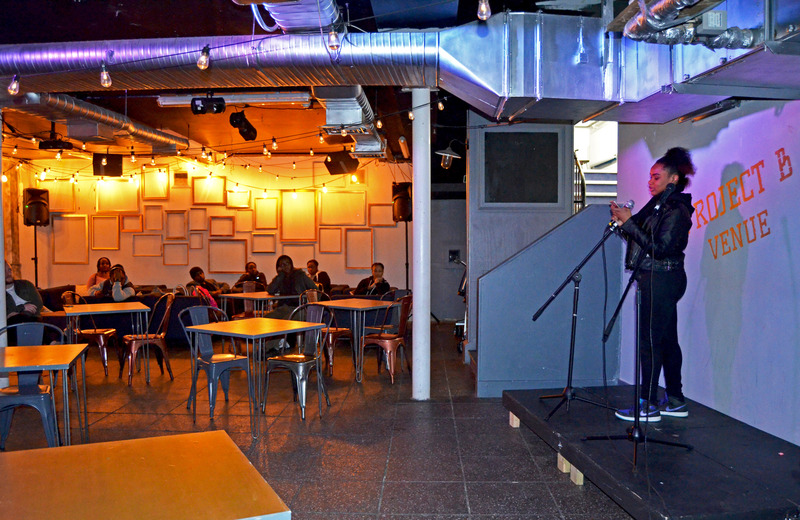 Considering it was her first time at Poetic Insight, it was amazing at how open and honest she was with us. Mahmoud was also incredibly open with us, as we welcomed him back for the second time, sharing a poem about a romantic relationship he had engaged in relatively recently. Completing the line up for the night were what I would now call Poetic Insight veterans. Rhianna graced the stage twice, first letting us know that she would always be there and then she got into a situation that a lot of us girls have experienced with guys who are not interested in relationships, but just casual hook ups. Alana took to the stage twice as well, with two pieces of spoken word that focused on relationships that are often bypassed. Her initial poem focused on developing the relationship she has with herself and the second one touched on our relationships with each other, as she urged us to integrate and show love to one another. 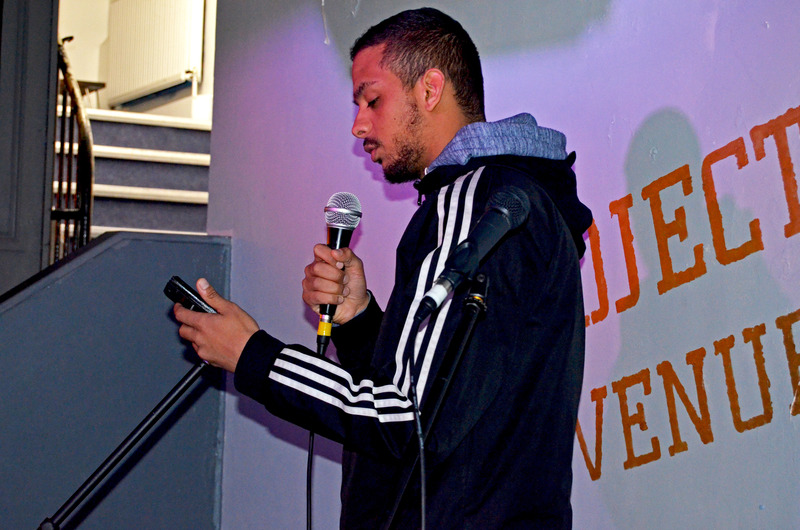 Annotate only came on stage once, but he shared two moving poems about family relationships. The first was a beautiful poem about an estranged sister he misses, which he followed up with ‘Gratitude’, a really special poem about his younger brother who has autism and Down’s Syndrome. It was a really enjoyable night filled with talent and amazing people in the room, which I am continuing to forge and develop relationships with, and I can’t wait to carry these relationships forward. Poetic Insight will combine with The Kickback on December 19th for our final event of 2017. We’ll be ‘Looking Back, Moving Forward’ as I continue to develop Young People Insight going into its second year. However, there is no theme for the poetry, so you can speak out on whatever you want, but you need to get in touch with me ASAP if you would like to perform, because performance slots are limited. Email me at shaniquab29@yahoo.co.uk or send a message to 07910092565 to let me know. Previous Post What are your thoughts on online dating?